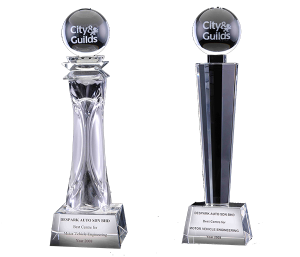 Despark is awarded as “The Best Automotive Training Centre in Malaysia” by City and Guilds for 2 consecutive years. Despark College is rated as 5 Stars Automotive College in Malaysia by Malaysia Department of Skills Development. 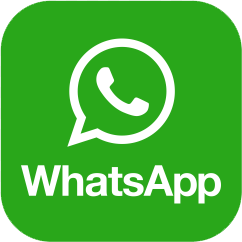 Despark has been relentless in upholding the quality and professionalism of the training. 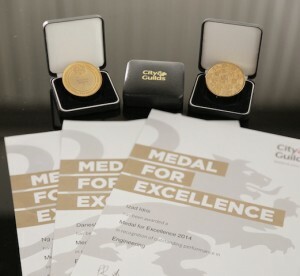 Educators from Despark College received the awards of “Medal for Excellence” by City and Guilds. We are proudly to announce that we are the most winners in Southeast Asia Countries among engineering institutions. Once again educators from Despark College is awarded with “Medal for Excellence” from City & Guilds as a recognition of upholding excellence education provided and Despark is the only winner among Asian Countries. 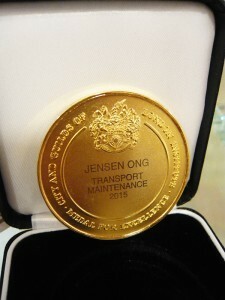 Despark College contributed and assisted Shell Malaysia on providing sufficient manpower to achieve record for “The Most Number of Cars in a Lubricant Changing Event in 12 hours” and successfully etching Shell’s name into Malaysia Book of Records. The feat involves 100 Despark College’s students and Shell Helix Branded workshops. 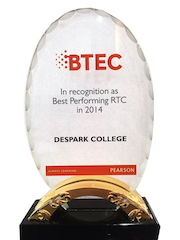 In 2014, Despark partnered with Pearson Education Group to offer BTEC course to provide specialist vocational learning. 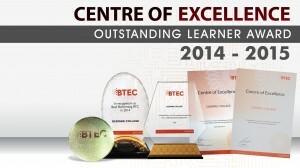 Despark College truly honoured to be recognised as the only automotive institution that received “Centre of Excellence” by Pearson for its quality high delivery of BTEC courses. 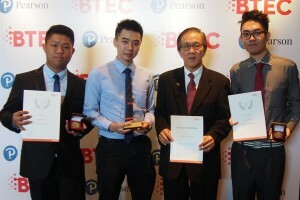 With professional guidance and training, our students were selected as winners of “The World’s Best Performer for BTEC Higher National Diploma” in Malaysia together with YB P.Kamalanathan and H.E. Victoria Treadell. 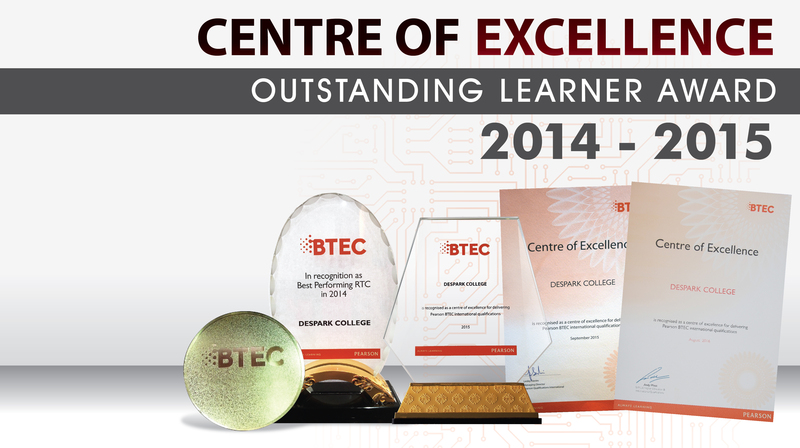 Despark College once again proved its academic excellence continuous two years when received “Centre Of Excellence” among all automotive institutions offering BTEC Course in Malaysia. 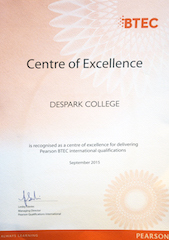 Despark College maintained its quality academic for delivering Pearson BTEC international qualifications. Gan Wai Sheng and Koo from Despark College received “Outstanding Learner Award” in Pearson Medallion Award for their outstanding performance in Malaysia for BTEC Higher National Diploma course. They were selected based on academic excellence. 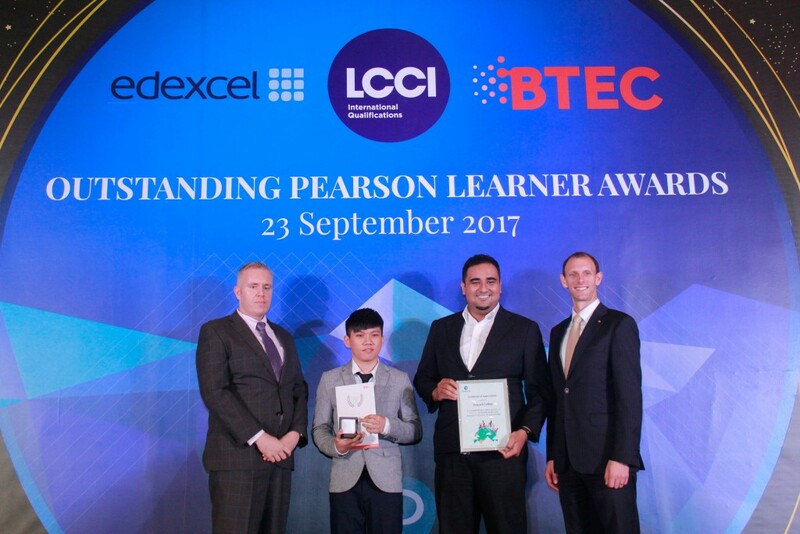 Chua Wee Chin, one of the student from Despark College received “Outstanding Pearson Learner Awards” in Pearson Medallion Award for his outstanding performance in Malaysia for BTEC Higher National Diploma in Automotive Engineering programme.